Some people remember where they were when Elvis died, or when John Lennon was shot. I remember the first time certain flavours hit my tastebuds. The first time I tasted creamy garlicky alioli - for instance - was on an almost deserted beach in Ibiza about a million years ago. I wasn’t too sure exactly what it was, but I wasn't leaving without the recipe. After several decades of alioli addiction, I have stored a few kilos of it on my hips and along my arteries. It is time to look for a substitute. 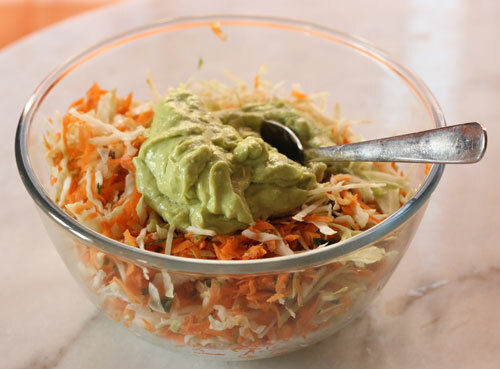 Swapping creamy ripe Avocado for the raw egg in a classic alioli makes a more than passable Nayo (nayo = not mayo). It is green (not necessarily a downside), and it lasts for about 4 days in the fridge (again, not necessarily a downside, as you’ll have to consume it relatively fresh). And, surprisingly, it doesn’t taste much of avocado. 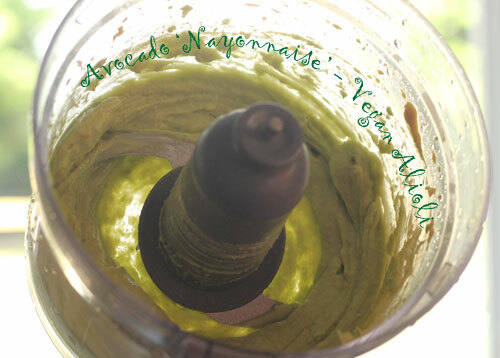 Blitz the avocado flesh in a food processor (or similar). Add the rest of the ingredients and blitz until smooth and creamy and all the ingredients are combined. Cover, excluding as much air as possible, and keep refrigerated until needed. Will keep for up to 4 days in the fridge but best used sooner. Thanks Angie, a new favourite of mine too. I actually like it way way better than shop bought mayo and just as much as traditional alioli. Hi Rosemary, good to hear from you. When I first tasted avocado I thought it was absolutely revolting, however we have become firm friends since. I'm not a huge fan of mayo either (the stuff in the jar) but this I could eat on toast.